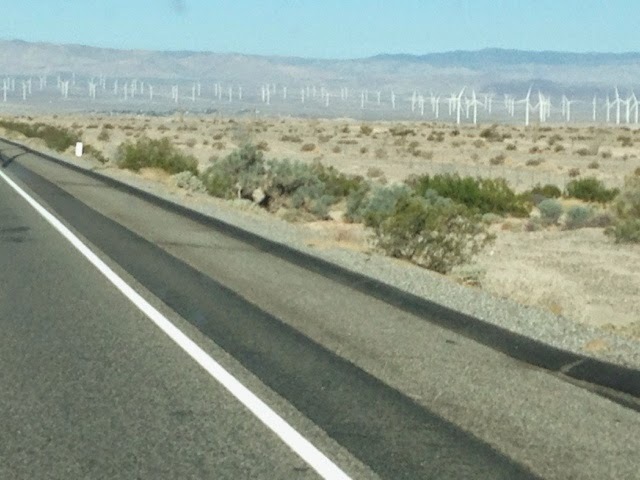 Today I made the trip through the Californian Desert over the mountains to San Diego. Having been in the desert where it is hot and moving to the relatively cool San Diego climate will take time to get used to. I left Yuma, AZ bright and early and with a stop in El Centro, CA for iced tea I arrived at the section of I8 that is below sea level. Off on the distance are the foothills on the east side of the mountains leading over to Dan Diego with wind turbines. The overhrmead traffic signs warned of high winds and it wasn't wrong. Much of the climb up the over 4000 foot elevation chamge rewuired two hands to control the camper with the winds. 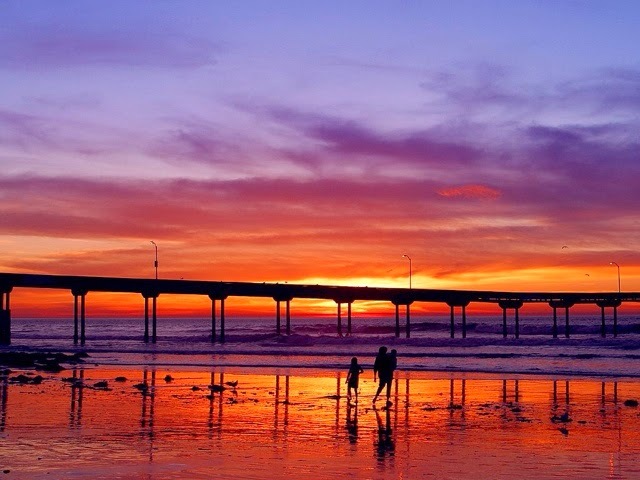 I arrived in La Jolla where son Clatyon and family live. This is my second time visiting on my travels, and I am happy to be back with the girls to visit with them for Clayton's return this week. 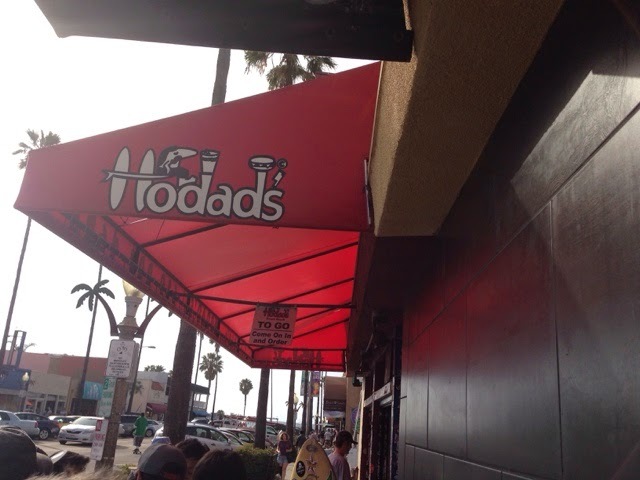 The last time I arrived here was 2 months, and I have seen and done a lot since then. We visited this afternoon an I played games with the girls and watched their favorite movie with them "Frozen". Having listened to an NPR Fresh Air podcast on the movie's music made it more interesting to watch. There are a couple noteworthy interesting things in the score. One one song has wording that she had gas, whoch was to put in as a way to show woman too get gas. Weird. Although I didn't hear it this time but there is also in one of the songs the Ballroom doesn't have any balls. At least this is what the podcast said. The girls sing right along with all the songs, as I gather many other young girls do. 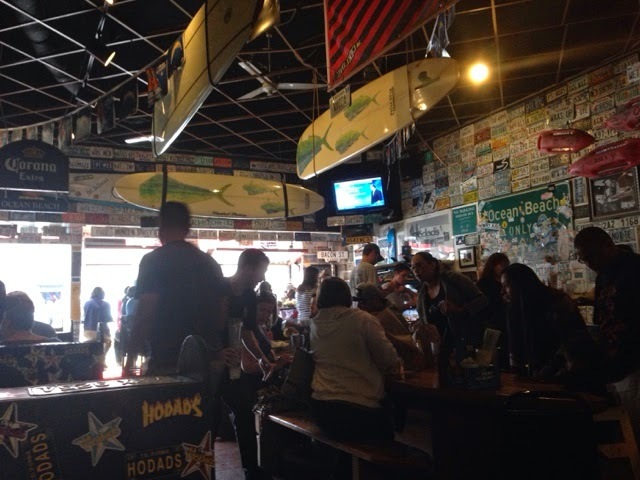 Hodaf's is a popular burger hangout joint mixed in with other similar places just down from the pier. It was windy and cool to go out on the pier today. 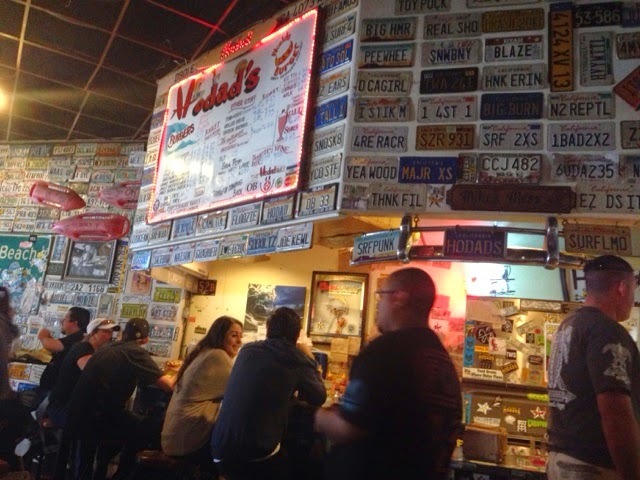 We enjoyed our burgers in this small restaurant that we had to wait about 20 minutes to get in the door. 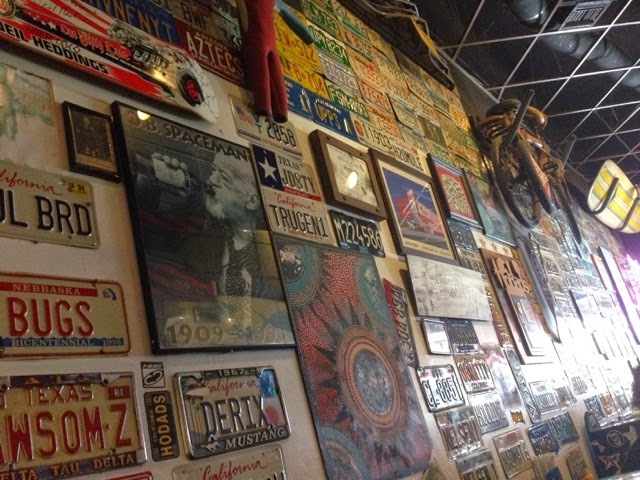 The interior of the Hodad's is small with walls covered with old license plates many vanity plates with notable sayings. 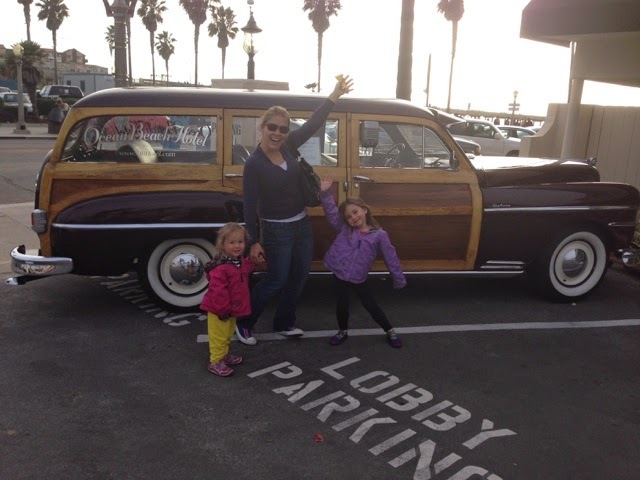 On the way back to the car I got the girls in this photo next to the Ocean Beach Hotel "Woody". I will be in San Diego until Monday 4/21 when I start my last phase of my trip to head home crossing the U.S. again.